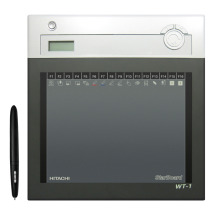 Hitachi's StarBoard Freedom Tablet lets you present your lessons from anywhere in the classroom. 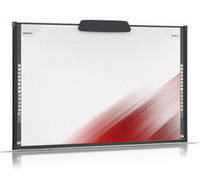 Use it to make notes and show video on your StarBoard whiteboard from up to 30 feet away. Since this tablet is so small and lightweight, it's easy to pass around the room with the wireless pen for question and answer sessions. Use the buttons at the top of the tablet to switch quickly between functions, and make notes on prepared presentations with digital ink; it's a cinch to pull them back up later to review.